What do you think of when imagining the online video site YouTube? Usually, people tend to see it as an endless void of cat videos and the latest dance craze neatly displayed on a white background, with comments of a low intellectual level. However, there is much more to YouTube than “David after Dentist” and “Gangnam Style.” While there is an abundance of simple entertainment and grammatically incorrect or crude comments, YouTube actually has a wide variety of interesting and educational videos. This “how-to” and educational genre involves anything from eye shadow tutorials, to how to use your iPhone, to videos about quantum mechanics or the War of 1812. There are many popular educational YouTube channels, many of which with hundreds of thousands of subscribers. The content creators of these channels are very passionate and enthusiastic about what they are teaching – whether that involves explaining about the origin of curse words, telling the story of Phineus Gage through song, or contemplating whether the TV show Community is post-modern art through explanation of post-modernity and the themes of the show. Some of these YouTubers are even professionally paid for their videos. Personally, I have learned about makeup techniques and literature, topics I already know a lot about and have a deep interest in, but I have also learned about history and physics through educational YouTube channels, which gives me interesting conversation starters at parties. Educational channels are a growing arena in online video that many people are unaware of, with YouTube’s stigma of time-wasting content, but something worth learning from, as you can find well-made and deeply informed videos of virtually any topic. Educational videos on YouTube can be legitimately instructive and enlightening, and can come from many sources, from colleges and universities, to college students in their dorm rooms, to middle-aged people with masters degrees in their offices. The article “Higher Education Migrates to YouTube and Social Networks” by Marilyn Gilroy, professor at Bergen County College, published in the Education Digest, discusses how colleges and universities are using YouTubeU to provide educational videos from their classes to students and anyone interested in learning, worldwide. She also discusses other educational video sites, and social media sites that colleges and professors are using. More colleges and universities are catching on to the importance of creating a presence in online learning, where teaching and learning can occur anywhere, at any time. Gilroy talks about the uses of YouTubeEDU in her article, which describes itself as a way to achieve worldwide insight and instruction. It is a part of YouTube entirely involved in educational videos. YouTube is calling this section of their site “a free, self-organizing, democratic website containing all the world’s knowledge.” On the site, any teacher at a two- or four-year college or university can upload educational content which anyone can access, worldwide. There are videos featuring educational topics from well-known and ivy-league colleges and universities like Stanford, Harvard, and the Massachusetts Institute of Technology (MIT). It was interesting to find how many colleges and universities utilize YouTube and their YouTubeEDU services because I’m more familiar with educational videos that aren’t actually academically affiliated with colleges. 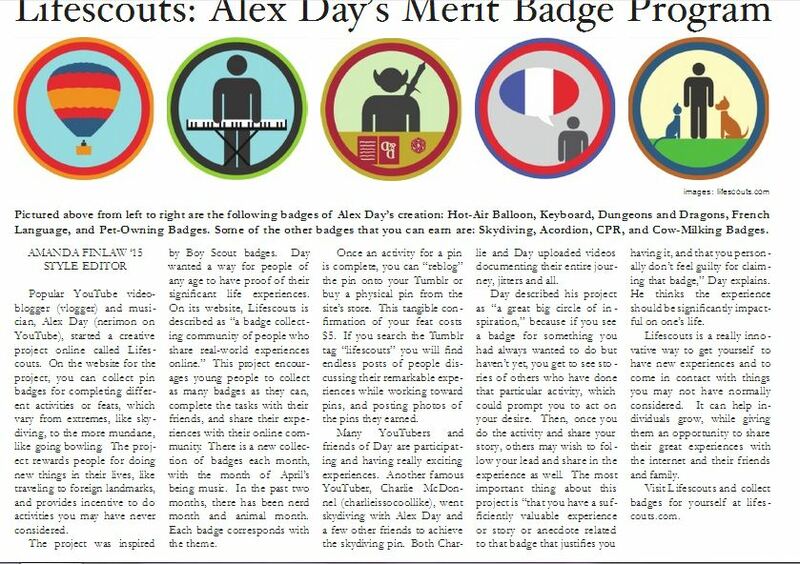 Gilroy’s article explains how YouTubeEDU “promises an environment in which ‘any qualified teacher can contribute and absolutely anyone can learn.” In this way, YouTubeEDU focuses on the importance of the wider world reaching out for quality information, rather than just students. In this way, YouTube is broadening the possible market for educational video. The author also mentions that there are some critics who don’t believe in the use of video and social media in higher education by dismissing these platforms as fads that will fade over time. This argument seems to be incorrect so far, because while this piece was written in 2009, people are still learning with online video, even more so through individual educational channels. YouTubeEDU might not be wildly popular itself, but the wider genre of educational videos on YouTube certainly is, and has grown in popularity over time with students as well as adults who are out of school. 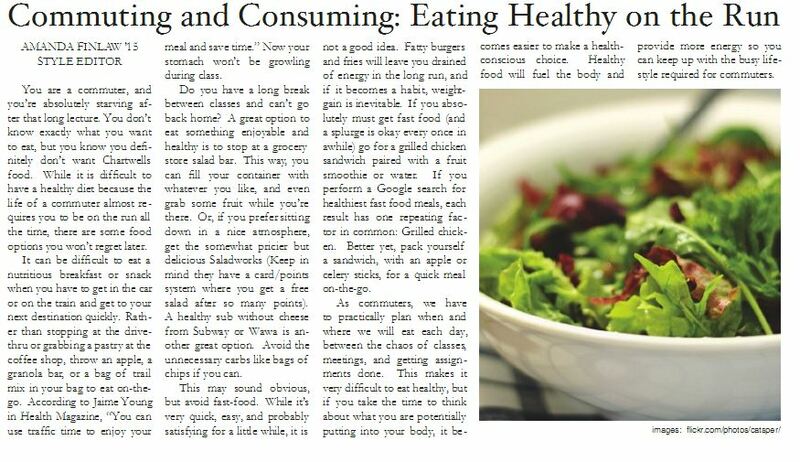 The author uses quotes from Heather Mansfield, an owner of a consulting business, throughout the article. Mansfield said “higher-ed has been entirely too cautious, and they probably don’t realize the damage they are doing to themselves,” by not participating enough in social media like YouTube. The author says that if she is right, the way the world interacts with higher education will change. I agree that it is important for colleges and universities to have educational tools online for students and non-students alike, but to me it is also important for there to be a presence of non-academically affiliated educational content on YouTube. Non-affiliated channels make learning feel like more of a casual experience of looking further into topics of interest, rather than structured learning. Watching educational videos for fun and personal interest can make the process more engaging. However, this does bring up the question of whether some people’s educations will take place entirely through educational video services rather than attending school or online college as it exists now. Maybe the education system will be entirely different, a thing in which people can sit in their living room munching on pretzels and texting in peace while watching their lecture on Social Psychology. In the article “’It Took Me About Half An Hour, But I Did It!’ Media Curcuits And Affinity Spaces Around How-To Videos On YouTube” Simon Lindgren, the author discusses how YouTube is truly a social networking platform where connections and friendships are made in the comments section of how-to videos, rather than merely a host for entertainment. This research was very interesting and useful, and goes in-depth into YouTube as a platform for community engagement, especially within the realm of the how-to genre. According to this article, as of 2010, YouTube has 24 hours of videos uploaded each minute, with over 2 billion views each day. With that large capacity for content, great educational videos and interesting communication can easily occur. Lindgren’s take on the social media aspect of YouTube is interesting, and in my own experience, accurate. She says that with its “various forms of interaction, including possibilities to comment and rate videos, as well as commenting and rating the comments themselves,” YouTube is a social community site with peer support systems and constructive criticism on instructional videos. The commenting system, which can lend to negative or even “trolling” comments, can be very beneficial for building relationships between content creators and those who consume the content. YouTube comments are, in many cases, part of the process of learning from how-to videos, and there is much engagement in this category the topics are very widespread, from cooking, to makeup, to educational videos, there is a how-to video for everyone. Lindgren says that in the comments section of YouTube videos “people come together because of common endeavors or interest, rather than of race, class, gender, disability, etc. Newcomers and masters all share the same space, and the creation, exchange and distribution of knowledge is an important part of the common activities.” Personally, I try to comment on the videos of a lot of the vloggers I watch, but I also comment on educational videos if I took something particularly important away from it, which could lead to relationship and community building among myself, other commenters, and the video creator. 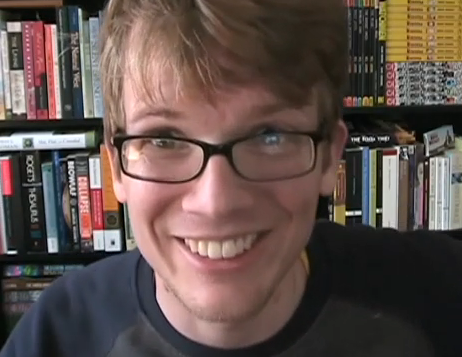 Hank Green, a very popular YouTube video-blogger and entrepreneur, has been working on two educational channels since January of 2012, SciShow, an educational science channel, and CrashCourse, which has covered biology, chemistry, world and American history, with a brief foray into literature, with his brother, John Green. Both Green brothers are very passionate about educational video on YouTube, and started out making a few, teaching various subjects on the Vlogbrothers channel, which sparked them to continue making more of this content, with interesting and eye catching visuals made by the company Thought Bubble. Most of the videos on CrashCourse and SciShow are 10 to 15 minutes long, much shorter than the average college class, but much longer than the average entertainment YouTube video. 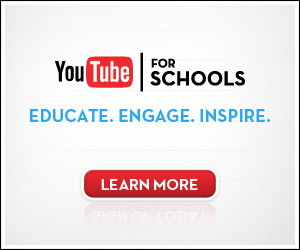 With YouTube, education has the chance to change forms and origins. Rather than learning predominately from teachers and parents, we can learn from friends, strangers we judge as intelligent, people with interesting views, those with skills we don’t encounter on the daily basis; virtually anybody. Personally, I have had incredible experiences with educational video. I have learned things I never would go out of my way to know about had YouTube not been an option, and developed an interest in the work of brilliant video creators. It allows content creators and consumers to engage and interact, for people to learn in new, possibly simpler ways, to take in information quickly, and to always be able to access the information later. Those who make education videos on YouTube, as well as those who watch, are excited about how this type of content is progressing in the future, as YouTube becomes so much more than cultural crazes. Who knows, maybe Vlogbrothers videos like “Froghoppin’ with Gatsby,” a mix of amusement and education, are the next viral videos of the world. You are standing in-front of your open closet. The overwhelming expanse of your entire wardrobe is staring you in the face. You glimpse through the chaos of clothing and know that you need to get rid of what you no longer wear. But how are you supposed to get rid of that hot pink BCBG banded dress with the cutout in the back? You wore it once and it became that useless piece that you know you should take to the thrift store or consignment shop, except that you can’t. It was a remarkable dress and you paid $125 for it. That was hard earned money, made slaving over Iced Venti Soy Caramel Macchiatos for wealthy middle aged women (who don’t need to think twice about dropping that amount of cash on a dress, to only wear it once). You can’t bear the thought of giving it away or only making $10 on it. So don’t go the traditional thrift/consignment route. Even E-bay is old news. Two new sites, Threadflip and Poshmark, are virtual thrift stores that are revolutionizing the secondhand clothing market. You can safely sell items to other fashionable women who will value your old clothing and accessories, and where you can find new, chic, inexpensive pieces to add to your own collection. On Threadflip, you can follow other users and can choose categories to shop from, much like that of any clothing store’s website. You can make your results show only items of your size, and narrow it down by brand, price, rank, popularity, and newness. The format of the results appears very similarly to that of the popular site Pinterest. Threadflip takes a 20% commission on each item sold, so as a seller, you make 80% of your asking price. When you sell an item, you get a balance in your account. This money can be spent on others’ items, and once you make $25 or more, you are eligible to withdraw your money. In my personal experience, users seem more quick to buy on Threadflip. 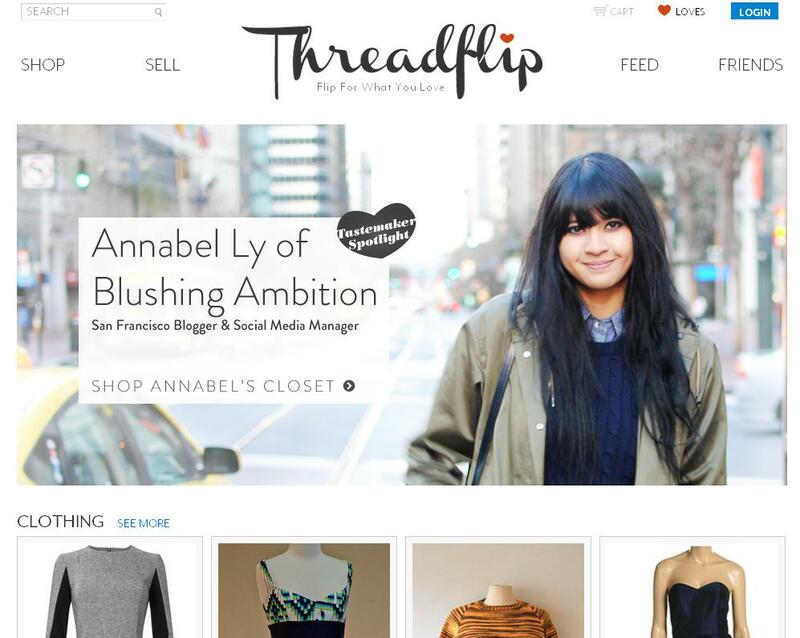 “We hope to revolutionize the world of online shopping by providing a new way to discover, buy and sell fashion,” reads Threadflip’s site. The CEO of the company came up with the idea when his wife had a unique and expensive pair of boots that she did not wear but also did not want to part with, unless she knew someone else would find them as special as she did. 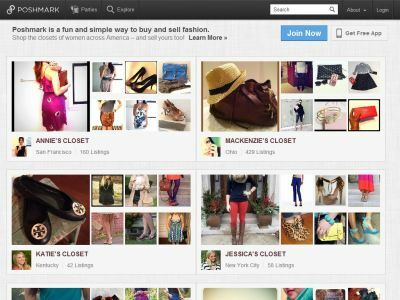 Unique aspects of Poshmark include creating a “Cover-shot,” that has Instagram-like qualities to the photo uploader, and attending themed, virtual shopping parties. Just like with Threadflip, you send your items in pre-paid and pre-addressed shipping, which the buyer pays for. The most difficult aspect of using Poshmark is bargaining with potential buyers. Due to its more social-media styled functionality, you interact with others and gain many followers (I have over 600 and have only used it for a month or two). Sometimes, buyers want to pay for their items through Paypal rather than through the site’s service, which can make the process more complicated. Poshmark takes a 20% commission on all sales, but you do not have to wait to retrieve the money you make. You have to work harder to sell on Poshmark, but there are unique aspects to the site that may make it worth using. Selling unwanted clothing and accessories on Threadflip or Poshmark is great because you name your price for each item. That way, you don’t allow yourself to be ripped off by thrift stores like Plato’s Closet, or consignment shops. You can interact with potential buyers, and you don’t have to worry about paying for shipping. It’s much easier for people to find stylish items that they like in your “closet” than people using sites like Ebay for the same purpose, because you can follow people with styles like yours. Both Threadflip and Poshmark take a 20% commission from each item, but you are still making 80% of whatever you ask, so it is still a better deal than handing your clothes over and being told how much you can get at a thrift store/consignment shop. Go through your wardrobe and remove items that haven’t been worn in 3-6 months: Once this has been done, see if there are new ways that you can wear these pieces before confirming that you no longer want them. Once you have completely decided on what needs to go, take pictures of yourself in them. It is beneficial for potential buyers to see the clothes on you to see how it fits, and if their body type is similar to yours. Also, take multiple photos from different angles and distances. If the clothes no longer fit, take a picture of them lying nicely on a single-color background. The same goes for jewelry and accessories. You can upload your photos with your smartphone to both Threadflip and Poshmark. The upload tool works similarly on both smartphone apps. You can also upload manually through their websites. Come up with a reasonable price. Keep in mind that others using these apps are just as shopping savvy as you are, so they’re not likely to be enticed by an insanely overpriced top from Forever 21. The more expensive an item is, the more it is okay for you to ask for it. People pay more for top designers. It is helpful if you remember how much the items your selling originally cost. Keep in mind that both sites get 20% a commission on sales, and the buyer pays for shipping. Wait for people to become interested in your “closet.” If you’re using Poshmark, it is best to interact with others; follow people and gain followers yourself, ask people if they’re interested in your items when they “like” them, and like and share others’ items. You can also post the link to your page on your other social media sites to generate more interest. Who knows, maybe one of your friends has been looking for that exact pair of boots you put up to sell. Once someone buys your item, you will be provided with a means to ship their item (paid shipping label), and all you need to do is send it out! Finding cute and inexpensive clothes, jewelry, purses, or shoes is incredibly easy through sites like Threadflip and Poshmark. It is simple to find other girls with similar styles or sizes. In many cases, you can see how much the items cost originally, and see how much of a deal you will be getting. Also, sometimes sellers post items that are still unworn, with the original tags intact. Make an account and follow users with similar styles to yours. Both sites start you off with a few people to follow. Find clothes and accessories that you’re interested in. You can “like” them. On Poshmark, there are “Posh Parties” that make it easy to find things from a specific brand or style. On Poshmark, it is easy to negotiate with buyers if you feel the price is unreasonable. On Threadflip, the price is pretty much what you will have to pay. The shipping is included in the price displayed to you. Once you decide to buy something, the seller will be provided with a means to ship your item. Using sites like Threadflip and Poshmark to buy and sell nice but unwanted clothing and accessories is a great new way to get extra money for clothing collecting dust. It is also a great tool to get new, exciting, and remarkable pieces for the empty spots left in your closet. If you want to get your money’s worth out of your closet, these guidelines are worth a try. 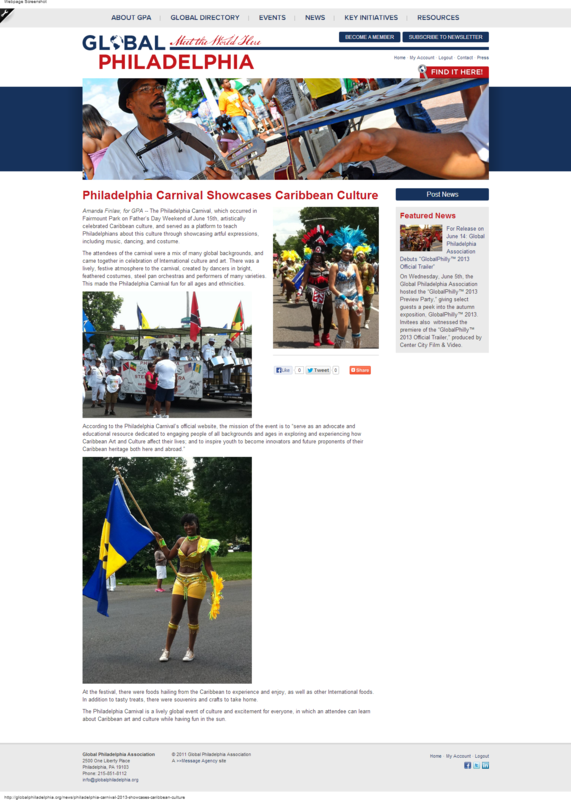 This is the second article for my new column featuring the creative projects of young people. 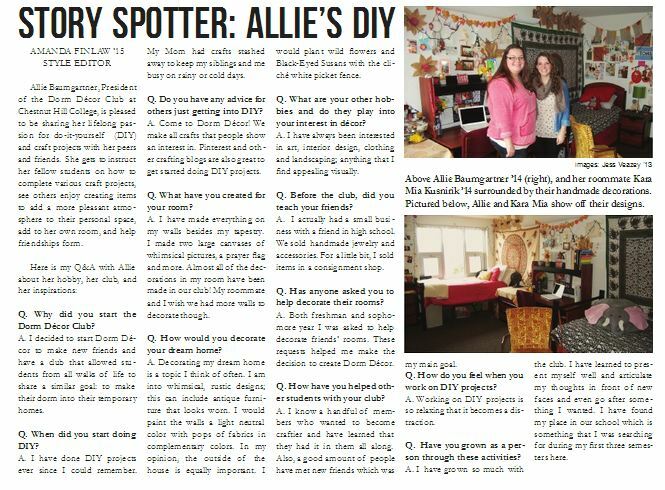 This is my first article for my new column, “Story Spotter.” In this column, I will be highlighting interesting projects that students and other young people are creating. Click the image to read the article!